Screw top drums are used in the food industry for storing products such as olives and pickles. They can be difficult to handle safely due to their shape. Full drums are heavy and pose a manual handling risk to those tasked with moving them. We’ve developed an aid in the form of a drum adapter, suitable for lifting these unique screw top barrels on and off pallets. The video below shows the boom arm in action and just how easy it is to use. Which STS units accept the screw top drum adapter? This adapter can be fitted to two of our standard models: the Side-Shift Drum Lifting Trolley or the Counterbalance Drum Lifting Trolley. The boom is quick and simple to install by removing and refitting a single pin; operators can switch back to the standard drum catch just as easily. The boom arm is made from 304-grade stainless steel as standard; we are also able to offer stainless steel drum lifting equipment should your process involve brine or other corrosive liquids. The adapter works by utilising two pivoting pick-up arms on a boom assembly. The operator raises the boom over a drum and then lowers it down, the pick-up arms are aligned with the hand holds and drop into position. As the boom is raised the pick-up arms grip the drum and raise it above the ground. Upon lowering the drum back to the ground the weight comes off the arms and the drum lifter trolley can be wheeled clear. What size drums can I handle? Utilising the stainless-steel ladder rack the adapter can be adjusted to a range of different heights to accommodate different barrels ranging from 50- to 220-litre. The boom arm can be fitted to either the Side-Shift Drum Lifting Trolley or Counterbalance Drum Lifting Trolley. 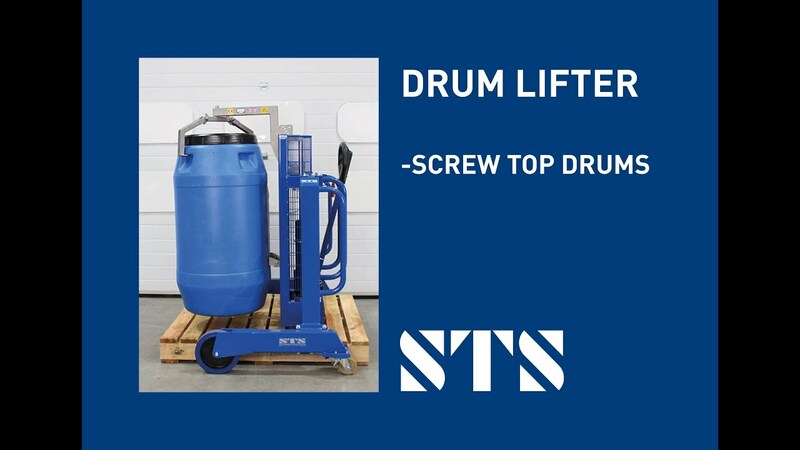 You can use our drum lifters for loading and unloading pallets and bunds as well as STS drum cradles, mixers and dollies. We have a range of drum lifting equipment for use in a variety of operations.